Join Sukhdev Kaur Khalsa for a unique experience of self-discovery through the tools of Kundalini yoga, Gatka, Karam Kriya and Sikh Dharma. Beginners and practitioners of all traditions are welcome! Price: 123 eur, when registering and paying the deposit by 16 august 2017. 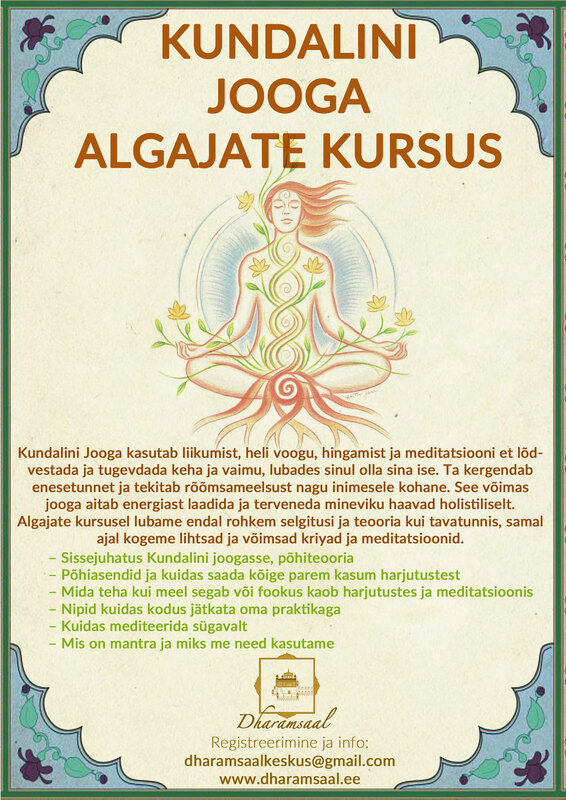 Non-refundable deposit 23 eur to be paid to: MTÜ Guru Ram Das Instituut EE597700771002082177 (include your name). The remaining amount (100 eur) please bring in cash on the first day. Price by registering after 22 sept: 140 eur. Food has an extra cost: sat-sun lunch and dinner (+ breakfast on sunday) altogether 28 eur. Please bring comfortable clothes, a headcover and a notebook. *100% of the revenue from the workshop will go to fund the many projects of the Guru Ram Das Institute. For more information go here. Please register below to book your place. Please note that your place is reserved by paying the deposit.